Despite the release of the new Samsung Gear Sport, the Gear S3 is still the flagship in the Samsung wearable armada. And today, Samsung released Tizen 3.0, dubbed the Value Pack, to upgrade the S3 in a major way, including a new Watch Only Mode that extends battery life to a bonkers 40 days. There is a catch here, however. Watch Only Mode is exactly as it sounds, turning off all functionality except for, you know, telling you the time as a watch. The implementation isn't exactly the greatest either, as you'll have to tap the power button to actually look at the time. So there arw no always-on display powers here. Elsewhere, the Value Pack update brings a whole lot of newness to the S3. On the fitness front, there's new real-time, continuous heart rate tracking, which Samsung says is more advanced, has better accuracy and improved detail. There's also a nutritional management feature that lets you more easily add calories, check your calorie balance and compare it to your daily target. You'll also be able to do more on your S3, with new abilities to create contacts and events, in addition to the ability to edit videos, reminders and checklists created on your Galaxy S8, S8+ or Note8. Samsung is also adding more interactions for its ingenious rotating bezel. 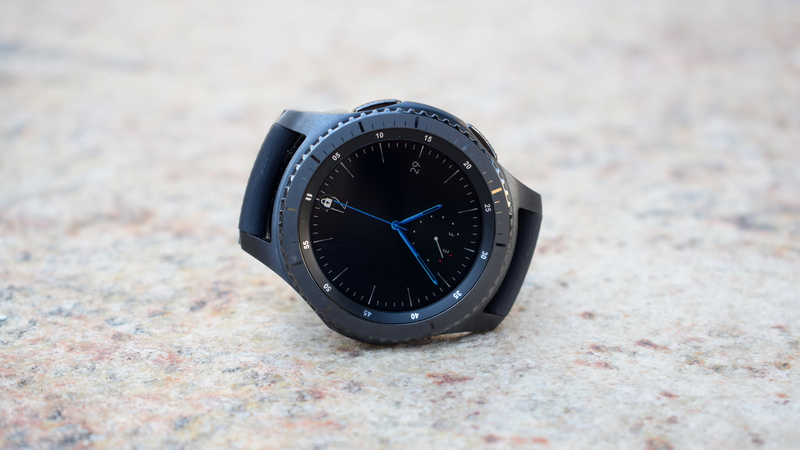 But first, you should know that widgets have been better optimized for the Gear S3's circular display, with a new band that circles the display, providing even more information. The speed at which you rotate that bezel will display either more or less information; you see more the faster you rotate. Rotating the bezel will also get you from text notification to reply, and you'll be able to create your own quick replies right from your wrist. Thanks to the power of corporate synergy, you'll also be able to use your Gear S3 in collaboration with other Samsung products. For example, you can watch Samsung Health Fitness Program videos on your TV from your smartphone. You'll also be able to control Samsung Internet-of-Things devices from your wrist with Samsung Connect, as well as control PowerPoint presentations and Samsung Gear VR. The Tizen 3.0 Value Pack update is available for download now via the Samsung Gear app.